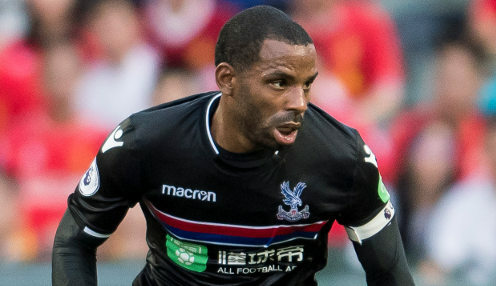 Roy Hodgson has indicated that he is happy to let Jason Puncheon leave Crystal Palace on loan this week. Middlesbrough have been linked with the 32-year-old, who has featured in 148 Premier League games for the Eagles since moving to Selhurst Park, initially on loan, from Southampton five years ago. Hodgson said after his team's 1-0 victory at Swansea City in the second round of the Carabao Cup: "He wants to play more and I have made it clear to him I cannot guarantee that. "In the middle of the park is where we are, at the moment, very competitive. But you saw that he is still a very good player, and I thought he was important to us in our victory." Hodgson was pleased with his side's display at the Liberty Stadium, adding: "I'm happy. I thought that was a good game. "It was a difficult one for us because we've got a couple of injuries, so that meant we were going to be limited [in selection] anyway and I wanted certain players who are either on the fringes of the first team or haven't got much of a game yet to get a game. "Some of our better-known players weren't here but there were enough good players to make it a proper game for them." Palace are 1212/1 to win the Carabao Cup this season and 31/20 to beat Southampton in the Premier League on Saturday.